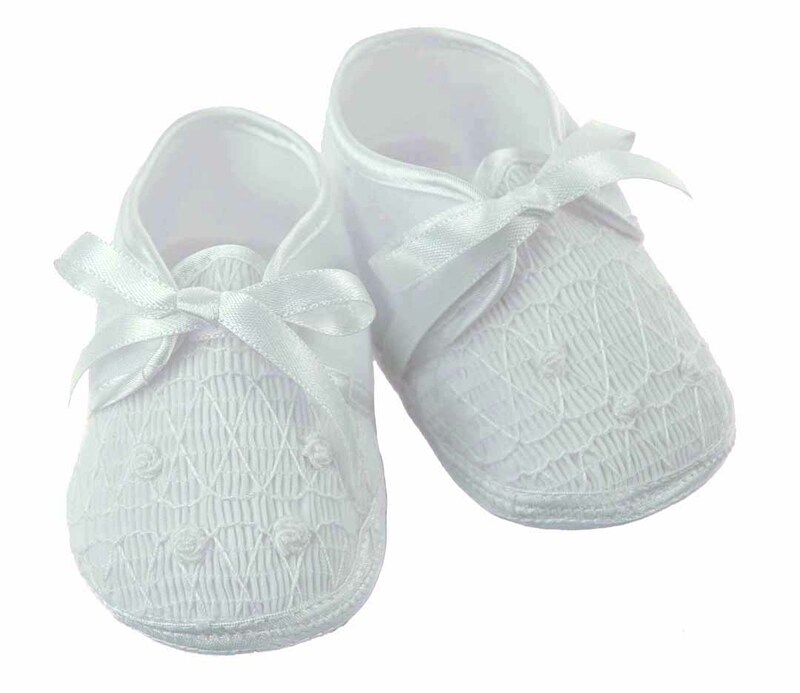 Made by Willbeth, a leading designer of beautifully detailed children's clothing for more than 30 years, these sweet white smocked shoes are accented with white embroidered flowers. 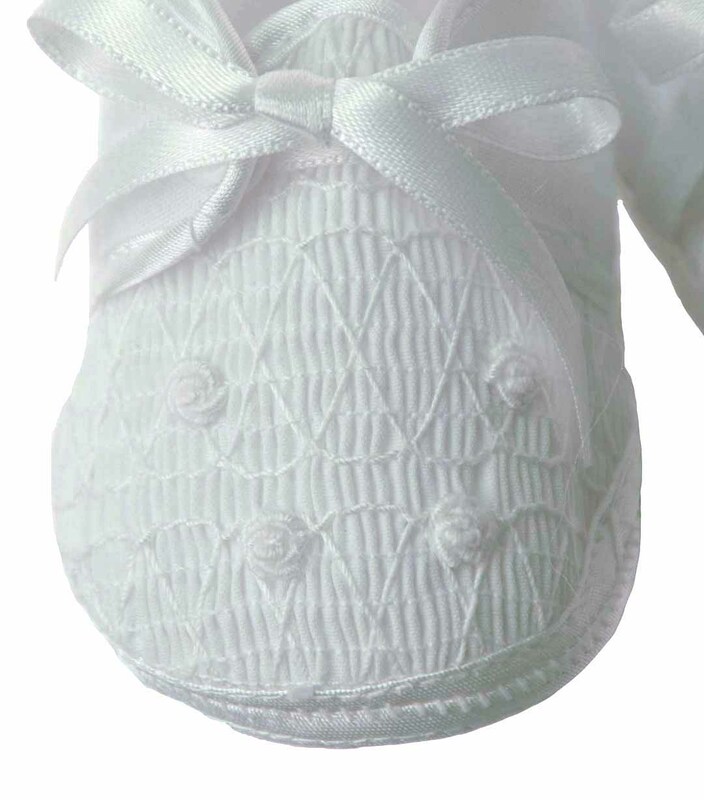 The shoes tie with white satin ribbons. These soft crib shoes are perfect for your baby boy's christening or any special occasion. 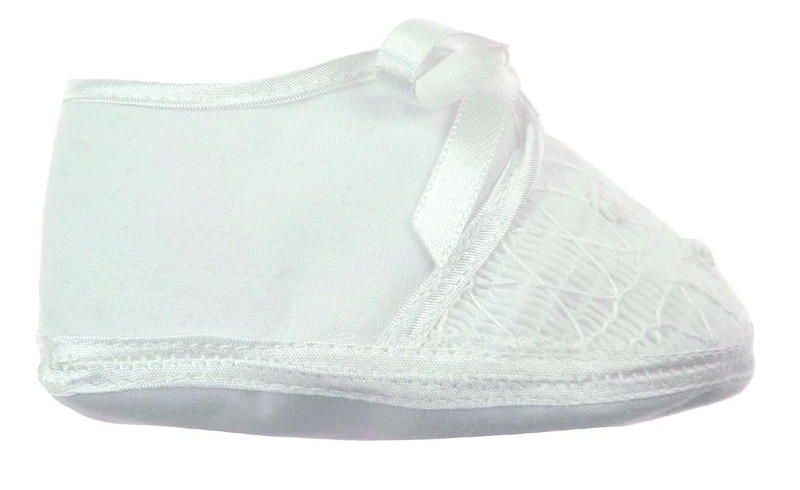 These sweet shoes are also available in white with blue. Coordinating girl's styles are also available. See below.